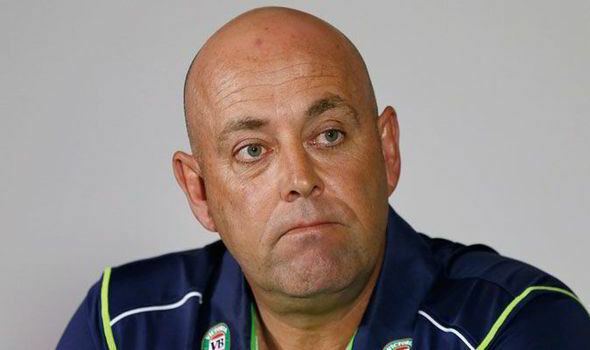 Darren Scott Lehmann (born 5 February 1970) is a former Australian cricketer and the current coach of the Australian cricket team. Lehmann made his ODI debut in 1996 and Test debut in 1998. He was on the fringes of national selection for the entirety of the 1990s, and only became a regular in the ODI team in 2001 and Test team in late 2002, before being dropped in early 2005. Primarily an aggressive left-handed batsman, Lehmann was also a part-time left arm orthodox bowler, and was known for his disregard for physical fitness and modern dietary regimes. He announced his retirement from first-class cricket in November 2007. He coached the IPL teams Deccan Chargers from 2009 to 2012 and Kings XI Punjab in 2013. He coached Queensland during the 2010/11 KFC Twenty20 Big Bash in place of Trevor Barsby, who had resigned. 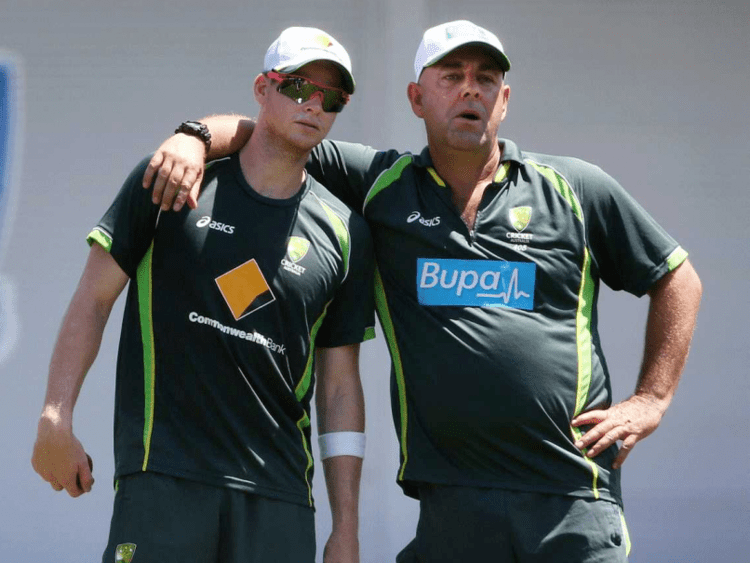 In June 2013, Lehmann replaced Mickey Arthur as the coach of the Australian cricket team, only two weeks before the 2013 Ashes series. 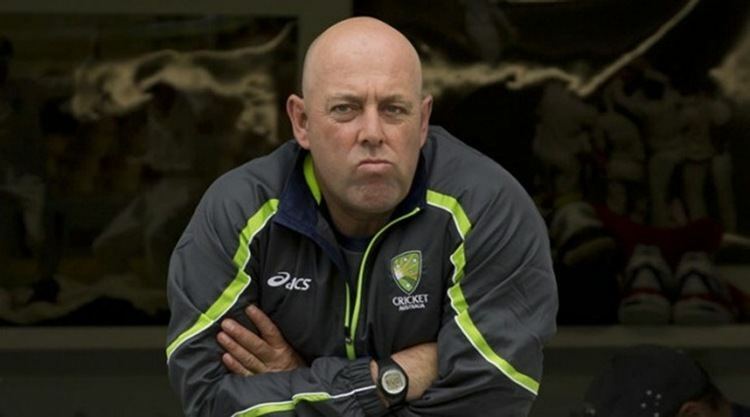 Though Australia lost that series 3-nil, Lehmann went on to coach the side to a 5-nil victory in the 2013–14 series less than five months later. A junior representative for South Australian National Football League (SANFL) club Central District as well as playing cricket, Lehmann left school at the age of 16 to work on the assembly line of Holden car manufacturers in Elizabeth, South Australia. He declined selection to the first intake of the newly formed Australian Cricket Academy, a full-time cricket centre, citing his enjoyment of the factory life. Lehmann entered the first-class scene as a 17-year-old in the 1987/88 season for South Australia, playing one match against Victoria at the Melbourne Cricket Ground after both Tim May and Peter Sleep were called into the national team. After making 10, Lehmann was omitted upon their return and did not play any further part in the season. In 1988/89, South Australia were at the bottom of the ladder, when coach Barry Richards called Lehmann into the team, playing against Western Australia at the WACA. Lehmann remembered little of the match; after being struck in the right temple by a Bruce Reid bouncer, he was knocked unconscious and temporarily ceased breathing. Lehmann made his mark in the following match against New South Wales Blues at Adelaide Oval, reaching 50, but the innings was marred by the manner in which it was ended. Going for a quick single, Lehmann collided with bowler Geoff Lawson and was run out after falling over. However, Richards and South Australian captain David Hookes claimed that Lawson had tripped Lehmann, leading to a confrontation between the two teams. In 1989/90, Lehmann came into contention for national selection, after scoring 228 runs at the age of 19 in a match against New South Wales in that season. He also scored a century against the touring New Zealand cricket team and followed that with centuries in three consecutive Sheffield Shield matches. Having scored over 700 runs in the first half of the season, Lehmann was drafted into the Australian squad for the New Year's Test against Pakistan at the Sydney Cricket Ground after both openers David Boon and Geoff Marsh were injured. As Lehmann was not an opener, Mike Veletta and Tom Moody were selected, and he was relegated to being 12th man. Lehmann was also called into the squad for the triangular ODI series, but after being unused, he was replaced by Mark Waugh. The following year, Lehmann was lured to move to Victoria by John Elliott and Ian Collins, then directors of the Carlton Football Club with a lucrative deal for him to play district cricket for Carlton, as well as the Victorian state team. 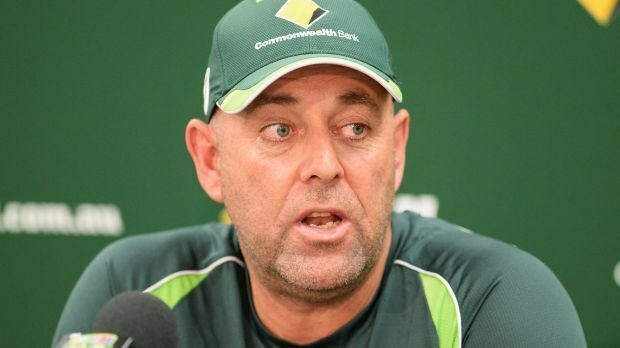 Lehmann believed that he had a better chance of international selection, feeling that selectors disregarded batting performances at Adelaide Oval on the perception that it was a flat track. Lehmann was not, however, rewarded with international selection, but he did participate in a Shield victory in 1990/91. He was fortunate to play in the final, having needed facial surgery prior to the match after being struck in the nose during a training session. 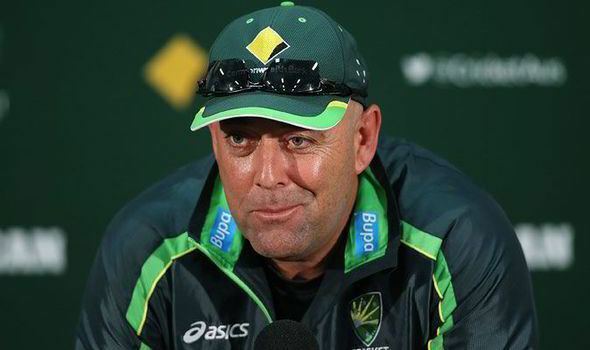 Following another season, Lehmann expressed dissatisfaction, and returned to South Australia. From the 1993/94 season until 2007/08, Lehmann played domestic cricket for his home state, South Australia, as well as for Yorkshire in England (from 1997 until 2006). During this time, Lehmann had great success as a player for both teams and he captained them both; South Australia from 1998/99 until 2006/07 and Yorkshire in 2002. Playing for South Australia in this period, Lehmann scored over 10,500 runs in 107 first-class appearances for the state, at an average of around 55. In 1995/96 he was a part of the South Australian team that claimed the Sheffield Shield. He made 37 centuries with a top score of 301 not out against Western Australia at the Adelaide Oval in 2005/06. He also took 44 wickets at an average of 38.06. He held the record for the most first-class runs scored and first-class games played before selection to the Australian Test team prior to Michael Hussey's Test debut in 2005. He currently holds the record for the most runs in the history of the Sheffield Shield/Pura Cup with 12971, over 2000 more than the second highest run scorer, Jamie Cox. Whilst he had great success as a player, his captaincy record was not as distinguished; South Australia did not win any silverware under his captaincy and he quit the role at the end of the 2006/07 season after South Australia managed to win only one Pura Cup game. Lehmann announced his retirement on 19 November 2007 citing injury concerns as the main reason behind his decision to quit. He ended his limited-overs career for South Australia on 21 November with an unbeaten 126 from 104 balls in an unbroken 236 partnership with Matthew Elliott (a South Australian record for any wicket in List A cricket) to complete the highest successful run-chase in Australian List A cricket so far. His final first-class innings for South Australia was a man-of-the-match winning 167 against Western Australia the following weekend. From 1997 until 2006, Lehmann represented Yorkshire as an overseas player. He is by far the most successful overseas player to represent the club since the members first voted to allow overseas players in 1992, having played 88 County Championship games, scoring 8871 runs at an average of 68.76. In 2001 he helped Yorkshire to their first County Championship title since 1968, with 1416 runs in 13 games at an average of 83.29. He scored 26 centuries with a top score of 339 against Durham in 2006 during his final game for the club, helping Yorkshire to avoid relegation by a single point. It is the highest individual first-class innings at Headingley, surpassing Don Bradman's 334 against England in 1930, and the second highest for Yorkshire behind George Hirst's 341 against Leicestershire in 1905. He also holds the record for the highest one-day score for Yorkshire, 191 from 103 balls against Nottinghamshire at Scarborough in 2001. He took 61 wickets at an average of 32.00 in County Championship games. As with South Australia, his captaincy record was not as distinguished as his playing record. He captained Yorkshire only in the 2002 season during which they were relegated to the second division of the County Championship. They did, however, win the Cheltenham and Gloucester Trophy, the 50-over-a-side limited overs competition, under his captaincy. Lehmann was a very popular member of the Yorkshire team amongst both the fans and the club hierarchy. He stated at the time that he would like to return to Yorkshire in a coaching role after his retirement from playing for South Australia. Lehmann had only limited opportunities at the international level. His body shape, relative lack of fitness and physical condition, while never dulling his run-scoring capabilities, meant he was never a favourite of the Australian hierarchy, and notably never saw eye-to-eye with former coach Bob Simpson in the early-mid-1990s. Simpson was regarded as one of the best fielders to have played the game, and was renowned for his heavy emphasis on fielding and fitness, the weakest aspects of Lehmann's game. With Simpson's retirement at the end of the 1996 Cricket World Cup, Lehmann made his ODI debut later in the year in Sharjah after injuries to other players. He was a sporadic member of the team until the 1997/98 Australian season, when captain Mark Taylor was dropped from the team. Lehmann then became a semi-regular member of the ODI team, and also toured India in early 1998. Lehmann made his Test debut in the Third Test against India in March 1998 in Bangalore, after Steve Waugh suffered a hamstring injury. Lehmann scored 52 on debut, as well as claiming Indian captain Mohammad Azharuddin while bowling. Selectors were impressed with his performance, and when Waugh returned from injury on the tour of Pakistan later that year, Ricky Ponting was instead dropped. Lehmann scored 98 in the First Test in Rawalpindi, but an injury forced him out of the Second Test in Peshawar in which Taylor scored a (then) Australian record 334 not out on a flat pitch in a high-scoring drawn match. Lehmann failed to perform in the final Test in Karachi and, despite scoring his maiden ODI century, he was dropped for the first two Tests of the 1998/99 Ashes series. Ponting was recalled by the selectors, under the justification of "horses for courses", as he was regarded as a superior player of pace bowling but weaker in spin, with the first two Tests being held on bouncy wickets in Brisbane and Perth. However, failures by Ponting in the first three Tests saw Lehmann recalled to the team for the final two Tests in Melbourne and Sydney. Further failures by Lehmann in those Tests saw him dropped in early 1999 from the Test team to tour the West Indies, who had a pure pace attack. Lehmann retained his position, however, in the ODI team, and scored another century during the West Indies tour. He went on to the 1999 World Cup, where he played in every match bar one where he was injured, and hit the winning runs in the final. However, upon his return to Australia, he was dropped from the ODI team in favour of Damien Martyn, who was the reserve batsman. Lehmann spent the 1999/2000 international season out of the team, and was not given an opportunity again until the 2000/01 season. During that season Australia was in dominant form, winning all five Tests. Captain Steve Waugh took the opportunity to introduce a rotation system for the ODI series, and Lehmann was allowed regular matches as all members of the team were periodically rested. Despite topping the averages and Steve Waugh having the lowest among the batsmen during the round-robin stages of the triangular tournament, Lehmann was dropped for the finals series, as he was the least senior batsman in the team. Lehmann did not receive further chances in the Test format either, as Matthew Hayden, Damien Martyn and Simon Katich were all recalled in 2000 and 2001 when other players were dropped. Following Hayden's heavy scoring in the 2001 Border-Gavaskar Trophy in India, he was afforded a place in the ODI squad, and Lehmann was removed altogether from the squad during the 2001/02 season. Australia however faltered during the campaign, and Lehmann was recalled for the final match of the series, in which he top scored. After Australia failed to qualify for the finals, batsmen Mark and Steve Waugh were dropped from the ODI team, and Lehmann's ODI position became permanent. Later in 2002, Mark Waugh was dropped from the Test team, and Lehmann was recalled for the first time in almost four years. After playing three Tests without posting a large score, Lehmann was injured, and Martin Love replaced him. Lehmann came under more pressure upon his return, when during an ODI against Sri Lanka, he had an error of judgment and was run out. Upon returning to the dressing room, he made an offensive racial comment which saw him banned for five ODI matches, becoming the first player banned for racial vilification. After missing the first part of the 2003 Cricket World Cup, Lehmann went on to take the winning catch in the final against India in Johannesburg. Lehmann's Test spot was spared when Martyn was forced out due to a finger injury, with Love and Lehmann playing in the middle order on the subsequent tour of the West Indies. Lehmann then posted his maiden Test century on the tour, and on the winter Test series against Bangladesh in northern Australia, Lehmann scored consecutive centuries to solidify his position in the team. His Test career was again put on hold, when he was injured in November against Zimbabwe, allowing Katich to play in his place and score a century and top score in both innings in the Fourth Test against India at the Sydney Cricket Ground to stake a claim for Lehmann's spot. However, Steve Waugh retired after the series, and both players were included on the tour to Sri Lanka. There, Lehmann scored consecutive centuries on turning tracks against Muttiah Muralitharan to help Australia to a 3–0 clean sweep despite conceding a first innings lead in each of the matches. Lehmann's position was again called into question on the 2004 tour to India when Michael Clarke had an opportunity to debut in Bangalore on the 2004 India tour, when Ricky Ponting broke his thumb, and Clarke scored 151 in his first innings in Test matches. When Ponting returned, the Australian selectors were obliged to select Clarke, meaning that they had to drop Lehmann or Katich. Lehmann publicly offered to be dropped following a run of poor form, but the selectors did not take the offer, and the younger Katich was instead dropped. Lehmann stayed on briefly, but after two ungainly dismissals to Pakistani paceman Shoaib Akhtar in the first Two Tests of the 2004/05 series, in which Lehmann was out of position after wandering across the crease, he was dropped in favour of Shane Watson for the Sydney Test. Another maligned shot selection in the following ODI series, attempting to reverse sweep Shahid Afridi first ball, resulted in his dismissal from the ODI team, with Katich again promoted. 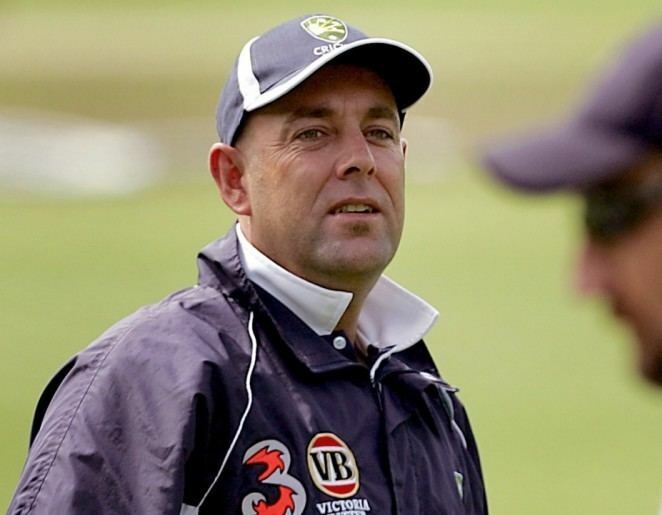 Lehmann was unable to reclaim a spot as Australia headed towards the 2005 Ashes series looking for batsmen to combat an England team fielding four pace bowlers, including three at the high speed of 90 mph (140 km/h), and he was never again on the Cricket Australia's contracted players list. In November 2007, he announced his retirement, stating that "Physically and mentally I've had enough". He published his autobiography, Worth the Wait, in 2004. In 2008, he toured with Australia Centre of Excellence as an assistance coach. Lehmann took charge as coach, replacing former India player Robin Singh after Deccan Chargers disastrous first season. Adam Gilchrist was named captain replacing VVS Laxman. With the below-par performance in the inaugural season and finishing at the bottom, Deccan staged an inspired comeback in 2009 by winning the second IPL season. After having an undefeated run in the initial league stage, the team suffered minor setbacks by losing some close matches. But the return of Andrew Symonds, Rohit Sharma regaining form and the continuing exuberance of Captain Adam Gilchrist bolstered the side. Some luck came in Charger's way towards the end of the league stage, with Kings XI Punjab and Rajasthan Royals losing key matches, enabling the Chargers into the semi-finals. During the semi-finals against the Delhi Daredevils, who were at the top of the table, few gave the Chargers a chance of an outside win. But against the odds, Gilchrist scored a sensational 85 off just 35 balls to put the Daredevils out of the competition and give the Chargers their first IPL final against the Royal Challengers Bangalore. In the final match, Gilchrist got out for a duck in the first over, however the Chargers managed to recover and posted a total of 143 for the loss of 6 wickets. Many felt that a good defending total could have been a further 20–30 runs. The Chargers came out with all guns blazing right from the first ball, and this spirited effort ensured that they successfully defended the total, winning the game by 6 runs and lifting the prized IPL trophy. On account of emerging as the winners of the 2009 season of the Indian Premier League. The team participated in the inaugural edition of the T20 Champions League along with two other Indian teams. They were runners-up of IPL 2009, Royal Challengers Bangalore and Delhi Daredevils, the toppers of the league-stage points table. They were knocked out in the group stages after losing to the Somerset Sabres and Trinidad & Tobago, who they were drawn against in Group A. After winning 2009, there were lots of expectations on Chargers. Team opened with a loss in their inaugural match against KKR but subsequently won next 3 matches. But thereafter Chargers went on to lose the next 5 matches. With a situation where many doubted whether Chargers will be able to make to next round but it has made it by winning next 5 consecutive matches and qualifying for playoffs. But Chargers lost both games in play offs i.e. Semi-finals and 3rd place. Before the start of auction Chargers decided not to retain any players and have put all the players in auction. The much awaited Auction in January 2011 lived up to the expectation in fact it exceeded in many ways. Team started the campaign by losing first 2 games but team won next match. Thereafter team started losing badly despite winning some games and was therefore eliminated from the competition. But team bounced back by showing pride by winning final 3 matches which didn't allow a chance for other teams for qualifiers. Team disappointing performance was clearly due to inexperience in the squad especially due to lack of Indian international batsmen. Fans of DC have criticized management for not holding back Rohit Sharma during player retention. Chargers got to play IPL matches at Hyderabad after almost 3 years but dismal performance at their home ground continued with a win against RCB being the only exception. However, in the away matches, Chargers did manage to beat Delhi Daredevils, Mumbai Indians, Kolkata Knight Riders, Pune Warriors and Kings XI. They ended on a high with 3 consecutive wins but could not scale above 7th position in the league standings. In 2012 Indian Premier League, Chargers named new fielding coach Trevor Penney replacing Mike Young. The Chargers failed to deliver on a consistent basis in 2012 with narrow and consecutive defeats. Shikhar Dhawan, Dale Steyn and Cameron White were the only players who helped the team put up a fight. Team weakness was the bowling and fielding department, with fast bowler Ishant Sharma being ruled out due to injury and spinner Pragyan Ojha traded to Mumbai Indians. Deccan finished eighth out of the nine teams in the league stage points table, after languishing at the bottom for most part of the season. Deccan Chargers came into the season being characterized as 'underdogs' and they are yet to lose that name. Lehmann was interested in taking up the England coach's job, which was up for grabs after Peter Moores was sacked in first week of January 2009. 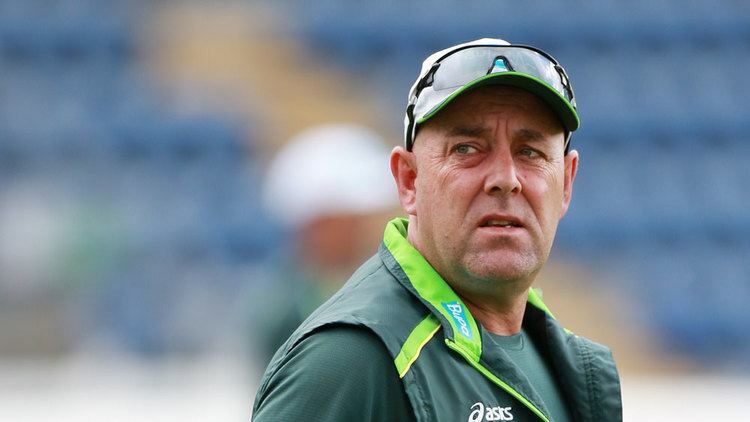 Lehmann was not the first Australian whose name has been brought up for discussion for the England job, with Tom Moody also being linked to the position. South Africa's Graham Ford, the Kent director of cricket, has expressed an interest in filling the post. After his name was connected to English cricket team, he was linked with New Zealand cricket team. New Zealand Cricket was searching for coach to succeed Andy Mole who resigned October 2009. Lehmann, Mark Greatbatch and Jeff Crowe shortlisted candidates for the post with New Zealand Cricket but Lehmann lost to Greatbatch. He was named coach of the Queensland after Trevor Barsby's sudden exit. He took over as coach as a Twenty20 side to prepare for its opening match against Victoria. Under him won 2011/12 Sheffield Shield season is the 119th season of the Sheffield Shield, the domestic first-class cricket competition of Australia, first form 2005/06 season. They 6 of 10 matches which they lost 2 and drawn 2 matches. In mean time he also took up Queensland, he signed Brisbane Heat side, which will compete in an expanded eight-team Twenty20 competition. 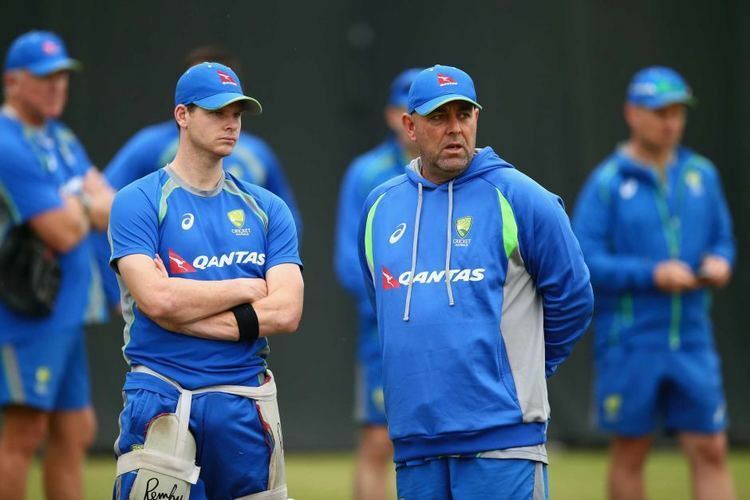 Once again Lehmann’s old mate in the Australian team Shane Warne suggested Cricket Australia that Lehmann would be perfect coach for the young Australian cricket team. Warne also believed his old-school approach would be perfect for either the vacant head coach role or a position on the selection panel. He was appointed the new coach of the IPL franchise Kings XI Punjab. Lehmann has previously coached the now defunct franchise Deccan Chargers and had played for Rajasthan Royals in the inaugural edition in 2008. He replaces Adam Gilchrist who was the coach and captain of the Punjab side in the 2012 season. In June 2013, he was appointed as head coach of Australia replacing Mickey Arthur who had a bad result in the Champions Trophy. His first assignment was Ashes in England which Australia lost 3–0 but won the ODI series. Lehmann’s batting technique was quite unconventional; taking guard outside leg stump, and, just before a ball was bowled, stepping back and across toward and sometimes past off stump. This peculiar technique meant that if the ball was short in pitch, he did not need to step back any further. Lehmann was noted for his play against spin, and was a useful left-arm orthodox spinner himself, as evidenced by his match figures of 6/92 against Sri Lanka in Colombo in 2004. He was relatively accurate, but had little ability to turn the ball and used a flat trajectory.